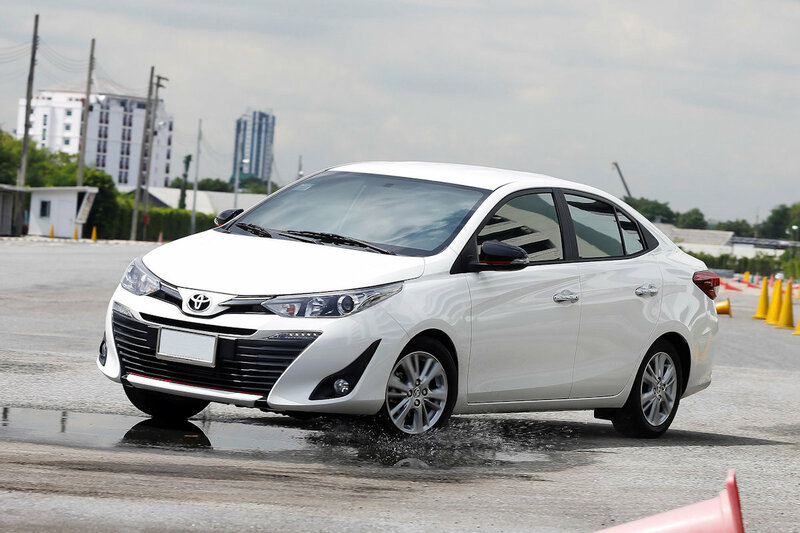 The smile of would-be sub-compact sedan buyers would be as wide as the all-new 2018 Toyota Vios’s front maw as the number one carmaker in the country has finally revealed the pricing and specs of their best-selling passenger car. During the ceremonial rollout at Toyota Motor Philippines’s Sta. Rosa, Laguna assembly plant, the carmaker has finally settled in the pricing of their volume-driver. With 9 variants (not including the special White Pearl color), the 2018 Vios starts at P 659,000 for the 1.3 Base M/T and goes all the way up to P 1,095,000 for the 1.5 G Prime CVT. 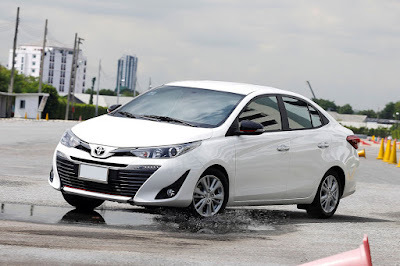 A P 15,000 premium is added for the White Pearl which means that the most expensive Vios tops out at P 1,110,000—a pretty penny for what should be the people’s car. Still, Toyota hasn’t completely lost their marbles. For starters, all variants come with 7 SRS airbags, anti-lock brakes with EBD, and even vehicle stability control down to the fleet-friendly 1.3 Base M/T. Despite not having advanced info access, we’re going to work doubly-hard to bring you more information about the all-new Vios which makes its official debut to the press and dealers tomorrow, July 20. It essentially uses a carryover platform, evident in the vehicle’s hard-points, particularly the A-, B-, and C-pillars. Even the wheelbase hasn’t changed at 2,550 mm. The choice of engines remains the same and again, they’re carried over. Both equipped with Dual VVT-i, it comes in 1.3- and 1.5-liter flavors making 98 and 106 horsepower respectively. 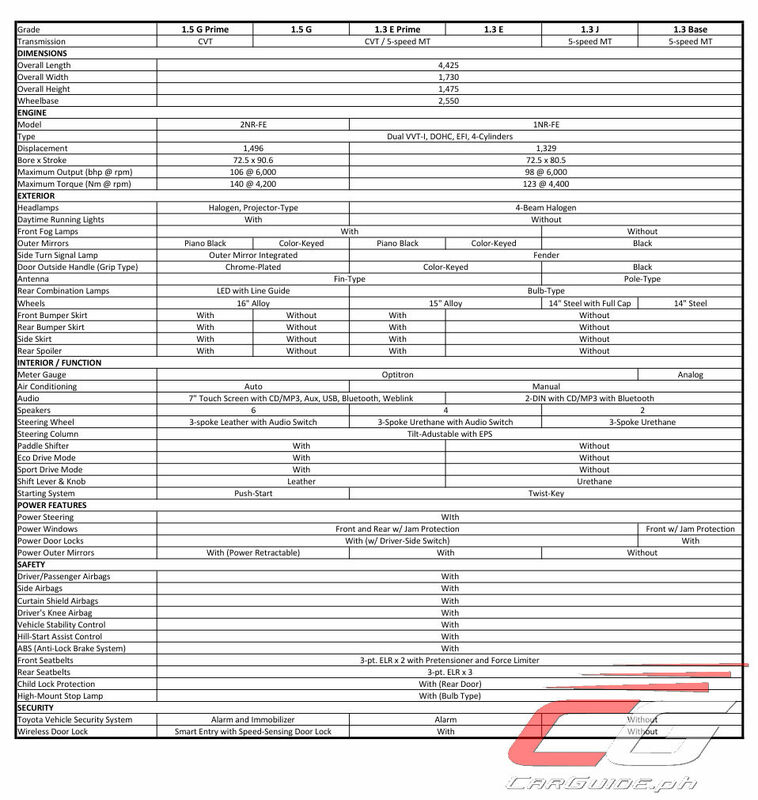 The transmission is a choice between a 5-speed M/T or a CVT depending on the variant. Paddle shifters are limited to the 1.5-liter variants. There’s a new “Prime” variant that serves as a fancier, dolled-up trim. It comes with a sportier front and rear clip, side skirts, and rear spoiler; although only the 1.5 G Prime gets the bigger two-tone 16-inch alloy wheels. A passive entry system with push-button start stop makes its way to the Vios for the first time. This is standard on all 1.5-liter variants. The same can be said with power-folding side view mirrors and automatic climate control. 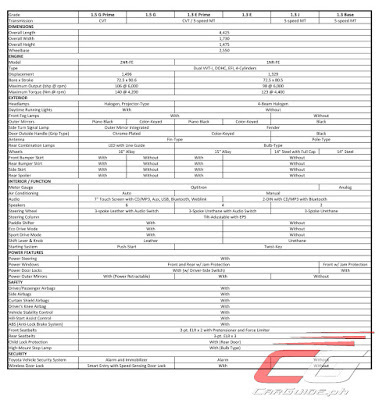 1.5 G Prime CVT – P 1,095,000.